CSR2 makes me want to smash things. I gave it a try again and got hooked, because it’s less obnoxious than I remember. It took me a while to figure out how broken and dumb the Live Races are. Practically everyone uses Tier 1 cars so they don’t have to deal with the stupid launch control thing and can have perfect starts every race, which means rather than being able to race with anyone who I can remotely compete with, every. single. f-ing. race is against someone with a maxed out Mini with a nitro boost that lasts two hours. 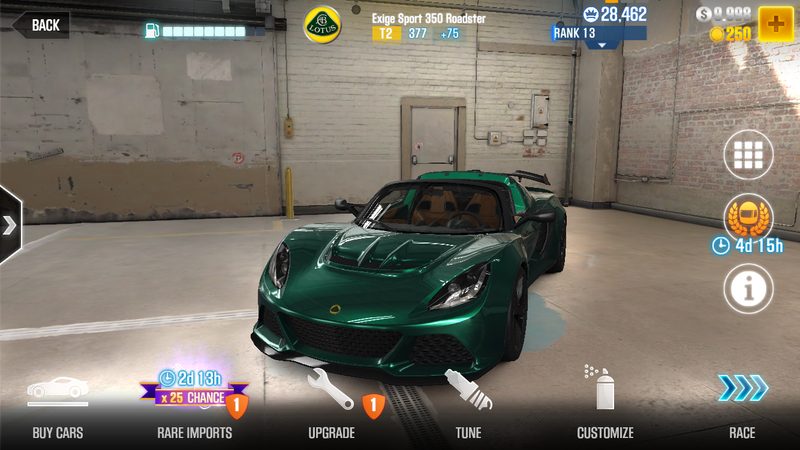 I can’t even find Tier 2 people to race against, because as soon as they join, someone with a Tier 1 car and a billion reputation points challenges them. Also, isn’t there an Oppo crew or something?